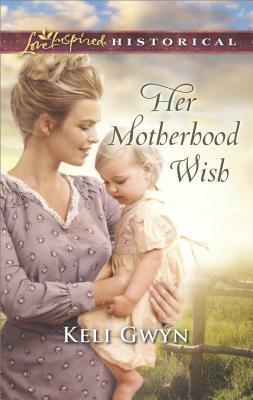 Her Motherhood Wish is a wonderful story! Callie embraces life and Chip is a “bit too regimented”, which leads to an engaging and entertaining journey. I loved their interactions with each other and the children at the Double T Orphanage, and I also enjoyed revisiting several beloved characters from Gwyn’s earlier books. Historical tidbits, inspirational messages, and tender romance are woven together to create a most delightful tale! En route to the Double T Orphanage to work on its expansion, carpenter Chip Evans and Caroline Hunt discover two orphaned children–and become their caregivers. But Chip’s determined not to let himself get too attached to the children who just lost their widowed father…or to the lovely woman helping him care for them. Especially since Callie and the little ones just don’t fit into his detailed plans for the future.